Murphy Braun is a five-year-old golden retriever who loves her family, and loves doing everything with them. 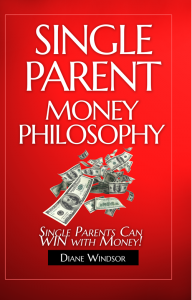 This includes going on camping trips in the beautiful Tahoe National Forest. But one camping trip didn’t go as planned. Murphy was lost in the forest; no matter how hard her family searched, they couldn’t find her. She spent many months alone in the wilderness, fighting to survive. Will her family ever find her? Murphy was trembling. Her whole body shook, from her nose to the tip of her tail. The five-year-old golden retriever ran from the explosive noises, farther and farther into the forest. Her quick movements soon separated her from her human family, with whom she had been camping just moments before. Her breathing came fast as she deftly maneuvered around obstacles blocking her way, tall trees and a mish-mash of rocks. She darted past them like she knew the place well. Lungs heaving, Murphy panted. Every cell in her body pounded as she remained on high alert. Even if she wanted to, Murphy’s body couldn’t slow down, not until the sharpness in her ears dulled. Oh, how she wished for the deafening sounds to stop! Finally, only then, would she be able to stop racing, and her heartbeat would slow from a racing tick, tick, tick to a more gradual tick…tock…tick…tock. Everything slowed as Murphy walked deeper into the Eldorado National Forest in Northern California, a dense forest that lies at the base of the Sierra Nevada mountain range. Each step that she took into the shrouded woods was another barrier that separated her from her family and the comforts that she loved in the safety of her home. Each step created a deeper divide between herself and just about all other living beings. That is, except for the most threatening animals, the ones that live in the forest. Murphy would soon find herself all alone with the things that howl at the moon and the ones that must eat ravenously to fall asleep. When she eventually stopped walking the sugar pine trees were so dense they hardly allowed any sunlight in. In the stillness, she looked side to side, taking in her new surroundings for the first time. Murphy whined, aware that she was all alone. Her tail drooped and she was overcome with defeat. She felt uneasy without her family and the warmth of their home, the place she would rather be than anywhere else in the world. There was a rustling sound and then a teasing, “Coo-coo,” that came from above. Murphy’s heart leaped at the sound of another living thing. She’d forgotten her apprehension by then, her nose sniffing the air to identify what made this pleasant, curious noise. The scents of the forest were unfamiliar, but Murphy was eager to learn more about this mysterious new place as the smell of bark and pine enveloped her. The cooing sound stopped just as quickly as it had started. Murphy’s ears, which moments before had been on alert, relaxed, drooping back down at once. She looked up at the huge canopy of trees that blocked the sun’s bright rays and lowered her head, breathing in the ground as she took in more clues, savoring the soil, damp and musky. Murphy’s nose led her away from the cluster of pine trees until she was back under the open sky and nearly to a river’s edge. The scents of other animals were strong at the riverbank; their waste, their skin, their fur, an individual story attached to each one. Visions flooded Murphy’s mind with the flurry of smells, lingering from the creatures that had been in that spot, possibly moments before. There was something light, something dark, something menacing, and something defenseless; a still shot of each whizzed through her mind like the confusing, dizzying sights taken in while on a rollercoaster ride. Murphy’s eye caught a flash 15 feet away across the narrow channel of water on the riverbank. It was a fish that floundered on land, drowning in air, just one, short, wrong jump out of the water. In years past, before California’s historic drought, rivers and lakes across the state held more water. But now dirt and rocks lay exposed where water would have covered it otherwise. Murphy was unaware that the fish was in danger. A playmate! was her first thought. The twitching fish was a sight more enticing than the water, which beckoned Murphy to take a cool drink from it. But just then, something else moved, leading Murphy’s eye to it, forgetting the fish on land just as quickly. It was a fish as well, but this one had much more energy than the former as it jumped out from under the sparkling surface with vigor. Not knowing it was being watched, the fish may as well have been signaling a “peek-a-boo, come get me” motion to Murphy. Fatigue forgotten, as well as the first fish, which didn’t seem to have the same enthusiasm to play, Murphy wagged her tail in greeting, running side to side mere inches from the water, not taking her eyes off her gliding, hopefully new, companion. Murphy dodged when the fish leaped into the air. I’m here! Murphy relayed as she paced and wagged her tail. Look at me! She hopped and even whimpered a bit, trying to get the frisky little fish to look at her. Eyes wide, Murphy watched the fish slip under the water and so she stopped mid-step, impatiently waiting for it to jump out again. As her heart beat with anticipation, Murphy’s eyes didn’t move, laser-focused on the water’s surface. While all of this joy and revelry was taking place, the fish on land had surrendered its last breaths and was finally still. Yet Murphy hadn’t noticed. Her mind had been glued to the very lively little friend in front of her instead. The fish wasn’t close enough but Murphy wasn’t concerned; she waded into the river to get closer. She nosed the water, splashing her eyes and jowls, startling herself as much as she had the silver beauty, making it instinctively flit away. The fish didn’t evade her for long. It turned and was back in her presence, moving to the same rhythm under the water as Murphy was above it. They moved back and forth, mirror images of one another. The fish seemed as eager to play as Murphy was and that got her heartbeat racing once more. With this wonderful distraction, Murphy forgot the gnawing hunger that wouldn’t let go, tugging at her insides and relentlessly pleading with her to satisfy it. Murphy kept on playing in spite of it. Murphy hadn’t eaten since Nathan fed her last, but flashes of his voice and face made her believe, in fleeting moments, that he was near. She would wag her tail in greeting and look side to side, only to see tall trees and hear the cool mountain breeze that tickled her face. Where was Nathan now? She couldn’t find him, her master, whose commands she had always followed and whose voice had always made it known whether it was time to take direction or play. For Murphy, no Nathan meant no food and no security. In those moments of realization Murphy lowered her head and lay down, without the enthusiasm to investigate. 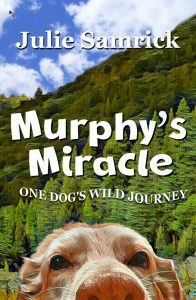 "The prologue to Murphy's Miracle clearly set the scene, and my mind and heart were filled with vivid images of Murphy alone in a forest wrought with fears and endangerments. I felt as if I were right there with her, experiencing every event, moment, and discovery. Yet, throughout her daily journey to survive, the message remained to not judge or hold fast to preconceived notions about a person or animal because of appearance, abilities, or limitations. Even more, Murphy kept her hope alive, one day at a time, with every step of her uncertain and unbeaten path. 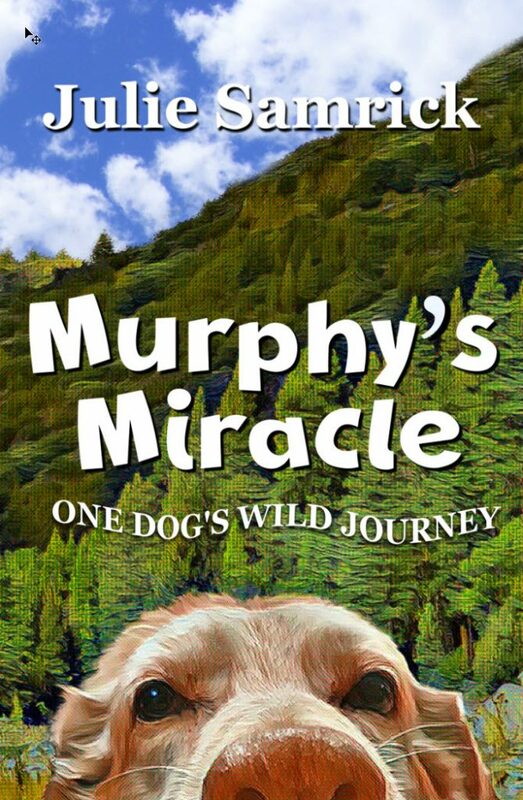 Murphy's Miracle is an absolute must-read that teaches us that there are indeed many more good people than bad and that nothing is impossible as long as we have hope. " ← Does God Believe in Divorce?